Vanessa is the Founder and CEO of Feed Your Spirit, Inc., and creator of Feed Your Power: A Mind-Body Transformation Program for Change-Makers. Vanessa supports men and women across the country, who are looking to live their healthiest lives and get the results they want in a sustainable way. Vanessa is a Certified Eating Psychology Coach and studied Fitness Nutrition with the American Council on Exercise. She earned a degree in Human Development from the University of California, San Diego, and is a previous Division I college athlete. After struggling with her own health challenges, and losing her Father at a young age to Heart Disease, Vanessa dedicated herself to studying, uncovering, and applying healthy habits that support longevity, holistic wellness, and when applicable, natural weight loss. She launched Feed Your Power for Female entrepreneurs who want to heal their blocks around food so they can give their biggest gifts to the world. She is helping people all over the nation in reaching their health and fitness goals by uncovering blocks, releasing what no longer serves them, and creating a thriving wellness lifestyle that incorporates and nurtures the body, mind, and spirit. 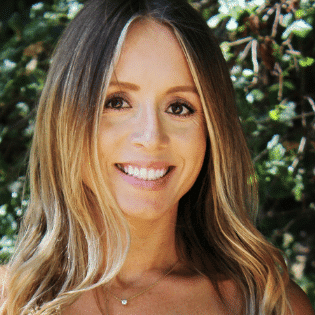 Vanessa proudly serves as the Plant-Based Nutrition Expert for The Planted Table across the San Francisco Bay Area, as well as the Nutrition Counsellor for The Star Method’s Boxing Fight Camp out of Walnut Creek, California. We know that diets don’t work. That’s why we are here. Ready to do the real work for lasting change. Through the lens of Eating Psychology, we see all of our eating challenges as a doorway to growth and transformation. It honors the unique, fascinating and ever-changing experience of food and the body that each one of us has. It unveils, if you know the best choices to make, why are you not making them? For way too long, we have been inundated with negative messages about food, weight, and diet. We have been told that we’re willpower weaklings or that we need more control. The majority of nutrition experts promote conflicting advice, and the result is people are confused about what to eat, and how to have a happy relationship with food and a healthy metabolism. Eating psychology is an exciting and cutting-edge approach developed by the Institute for the Psychology of Eating. It effectively addresses weight concerns, binge eating, overeating, body image challenges, and nutrition-related health concerns. As a Certified Eating Psychology Coach, my approach is positive and empowering. I do not see eating challenges as a sign that anything is wrong with you (Lord knows I have been there) — I see it as a place where we can more fully explore some of the personal dimensions in life that impact food, weight, and health. In IPE’s internationally acclaimed program I learned powerful cutting-edge tools and protocols that combine the powerful fields of Dynamic Eating Psychology and Mind-Body-Nutrition. The skills I use from this training are a combination of practical coaching techniques, results-oriented psychology, clinical nutrition, body-centered practices, mind-body science, and a positive and compassionate approach to challenges with food and health. By working on the places that are most relevant for you, success is more easily achieved. Here I will support you with strategies and nutrition principles that are nourishing, doable, sustainable, and that get results. Eating for hormone and blood sugar balance. Reduced inflammation and understand food sensitivities. Natural eating and natural healing methods. Emotional vs. mindful eating and Eating Psychology. Decoding the body’s symptoms and signals. Effective sleep and energy restoration. Stress management and anxiety relief techniques. Digestion, gut health and microbiome balance.